A classic manual pour over brewer. CM-6A six cup brewer (brews approximately 30 ounces). Click here for our 6 cup Chemex recipe for two. 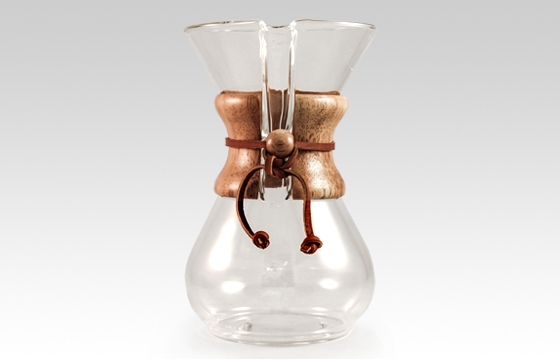 Click here for our 6 cup Chemex recipe for one. Click here for our Chemex Iced Coffee recipe.